Yes, I’m currently pregnant with our third child and we’re all super-excited to be welcoming our new arrival later in the year. Having more children was always an idea Tom and I toyed over, and a subject we talked about a lot. I do sometimes wonder if those conversations were prompted by the inquisitive nature of others – it seems as soon as you have one child everyone wants to know when you’re having the next! I thought the sooner, the better. That way, all the children can grow up together – just like I did with my siblings. But, as the diary for the year got fuller and fuller, and plans for the next few years began to take shape, we decided it might be best to wait a couple of years. 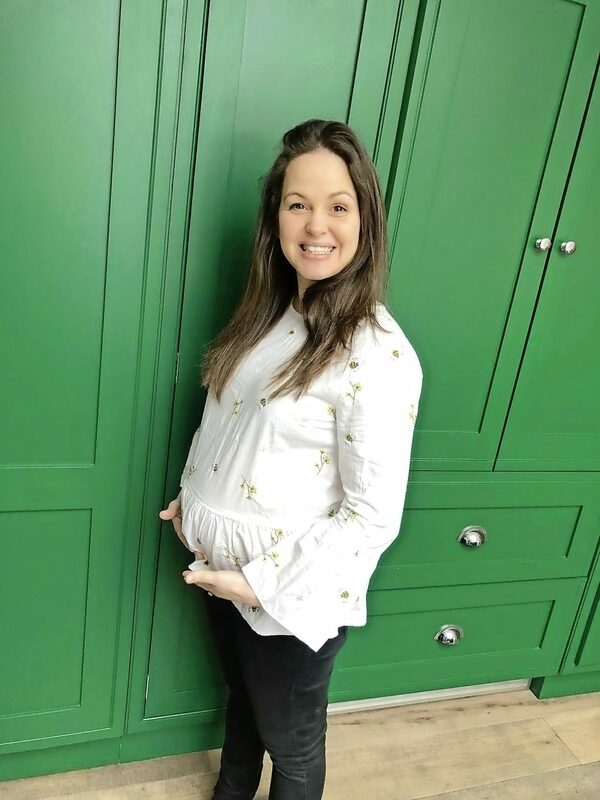 And having gone through fertility troubles in the past, I’ve always been aware of how lucky I would be to fall pregnant at anytime… And it’s just as well I have that attitude, because that positive pregnancy result came as quite a shock! slow things down a little. I was pregnant with Buddy, I feel sick if I’m on my phone in a car. and switch off. I’ve found that the sickness isn’t set off by reading actual books, so now I get guilt-free chill time, instead. Hurrah!